The staff was great! However I expected more with the live entertainment. It was just a dj and a game. It also indicated paddle boats on the voucher, but that was not an option. I do not like fish, so really did not want to snorkel, but I had to in order to make it worth the money. Awesome trip. Staff was attentive and we had so much fun! 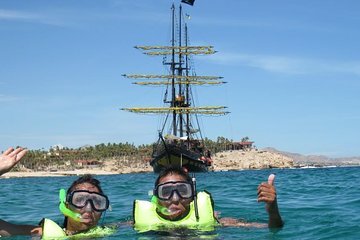 Do not recommend snorkeling for children or those that are not strong swimmers but the trip, food, staff - amazing!